Providing Affordable, Reliable Vinyl Siding Services in the Westfield, NJ Area Since 1999! Home vinyl siding is a popular siding option that more homeowners are choosing to improve the look of their homes. Vinyl does not rot or flake, which means it can last for a long time and is a smart investment for homeowners. Vinyl is also more affordable than some other siding materials. 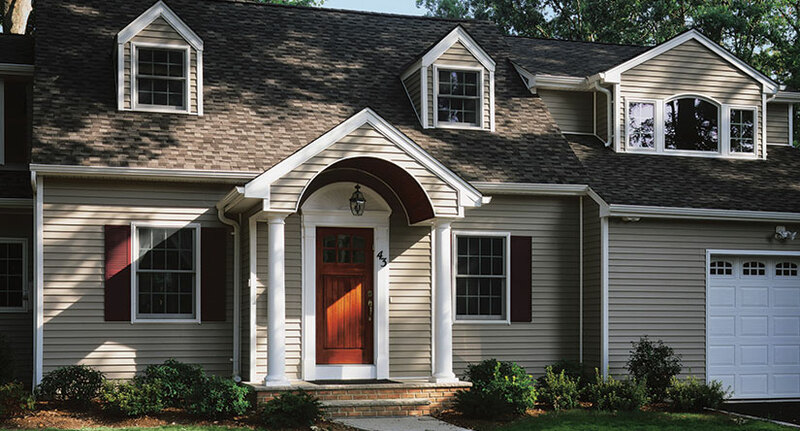 Many modern vinyl siding options come in eye-catching grains and colors. Vinyl siding is as appealing as it is practical for homeowners seeking to redress their home. Our expert team of vinyl siding contractors area has specialized in vinyl siding installations in NJ for over 15 years. We have detailed experience in new siding installations as well as removing and replacing old vinyl siding. Our staff is comprehensive and attentive to each client’s unique situation. We can help counsel you on particular design choices and make sure that your home is protected with proper insulation board before the vinyl is put in place. Our vinyl siding experts will be with you each step of the way. Because of its material, vinyl siding is easy to install after receiving from vinyl siding manufacturers. Vinyl can be easily cut by our NJ siding contractors with snips so that we have your new siding up in a relatively short installation time. 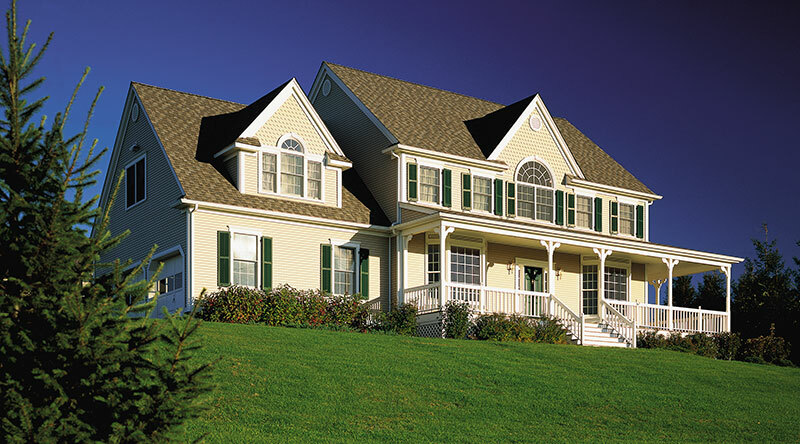 Contact us today to learn more about our vinyl siding installations in NJ! Most homeowners can expect quality vinyl siding to last about 50 years, but within that time, you may need to make some vinyl siding repairs or schedule maintenance to keep your siding looking fresh. If part of your siding is damaged by water or any other element, our staff can help repair it, which comes complete with color and texture matching. 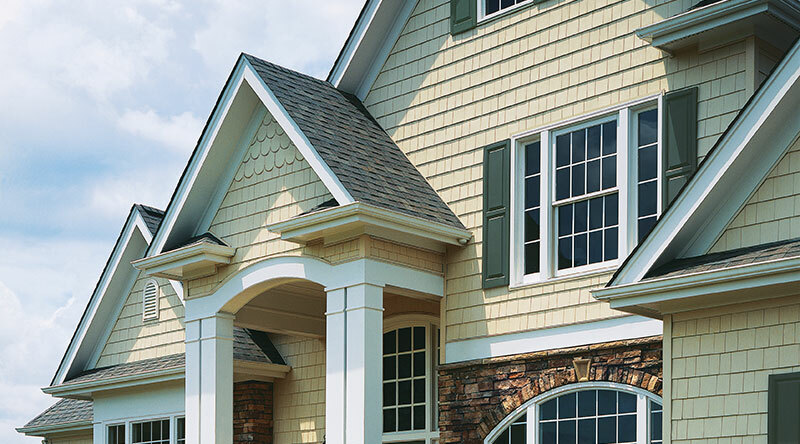 Contact us today to learn more about our vinyl siding reapirs in NJ! If your home siding needs replacement, it’s important to know that vinyl siding has come a long way since the time that you may have first got yours installed years ago. With many vinyl options, styles, and colors to choose from today, our team can consult with you to explore a variety of looks that will make your home look brand new again. Our team can also assess whether your siding needs to be removed completely, or can simply be gone over with our modern vinyl siding products.